A Parliamentary committee has delivered a damning indictment on the culture of secrecy and cover up at the heart of the Berejiklian Liberal Government over its management of the largest infrastructure project in the country, the giant WestConnex toll road. In a 200 page report, the Public Accountability Committee lays bare how the Liberals used the cloak of the Sydney Motorway Corporation – the government controlled private entity set up to deliver WestConnex – to hide their waste and mismanagement. The Committee found the State Government was not up front about the business case for the road, failed to get an independent assessment of it and that the SMC “weakened” the disclosure and accountability rules governing the project. It also said that the recent sale of a majority stake in the road to the private sector is likely to “exacerbate existing transparency and accountability concerns”. The report comes after a deluge of negative reports into the Government’s terrible mismanagement of major infrastructure and the waste that has attended it. Labor has found more than $13 billion of the $70 billion that the Liberals’ have reaped from privatisation has been wasted on cost blowouts on, among other things, Sydney Light Rail and the Sydney Gateway. Last week the independent Auditor-General found that sale of Ausgrid had been botched and was possibly in contravention of ICAC guidelines. The Australian Competition and Consumer Commission found that a clause holding back the economic development of Newcastle in the sale of ports in 2013 was anti-competitive and illegal. Today’s findings come a day ahead of an update on the Budget which is expected to show significant structural weaknesses in the state’s economy as a result of the Liberals’ privatisation agenda. 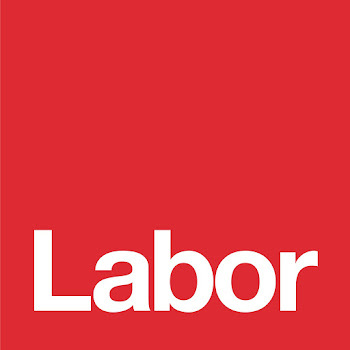 NSW Opposition Leader Michael Daley said: “The Liberals’ record on Westconnex is emblematic of the way they have handled major infrastructure projects across the state. “At $20 billion WestConnex has doubled in cost, eaten up all the proceeds of the sale of the state’s electricity assets and it is still under a cloud a secrecy. “This report confirms all our concerns about this Government’s failure to properly plan and implement major infrastructure projects. What makes it worse is that the Liberals went to such lengths to hide it all from the public. “It is a terrible indictment of this Government and will not happen under a Daley Labor government."